Ever since Microsoft started sending desktop notifications to Windows 7 and Windows 8.1 PCs to allow users register for the free Windows 10 upgrade, a number of users have been complaining about that the desktop notification or the Get Windows 10 icon is not appearing in the system tray of the taskbar despite having a genuine copy of Windows 7 or Windows 8.1. There could be a couple of reasons why the Get Windows 10 app is not appearing on your Windows 7 or Windows 8.1. It could be because you are running a non-genuine copy of Windows. It could also be because you have completely disabled Windows Update. Or it could be because you have a Volume License copy (used in businesses). But if you are sure you are running a legitimate, non-volume copy of Windows 7 or Windows 8.1 and haven’t turned off Windows 10 Update as well, you can now a newly released troubleshooter to fix the issue. Yes, now that Windows 10 has been launched, Microsoft has decided to help users who can’t see the Get Windows 10 icon on despite having legitimate Windows. The Get Windows 10 App troubleshooter will scan your Windows 7 or Windows 8.1 installation and help you get the Get Windows 10 app in the system tray. 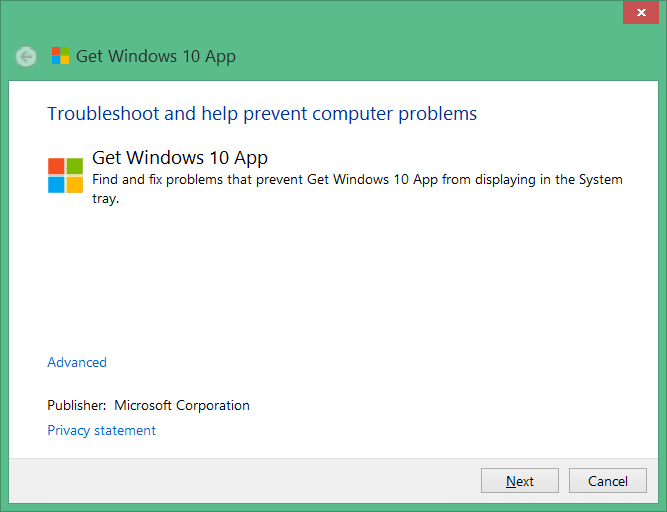 Here is how use the Get Windows 10 App troubleshooter to get the Get Windows 10 App in your system tray. 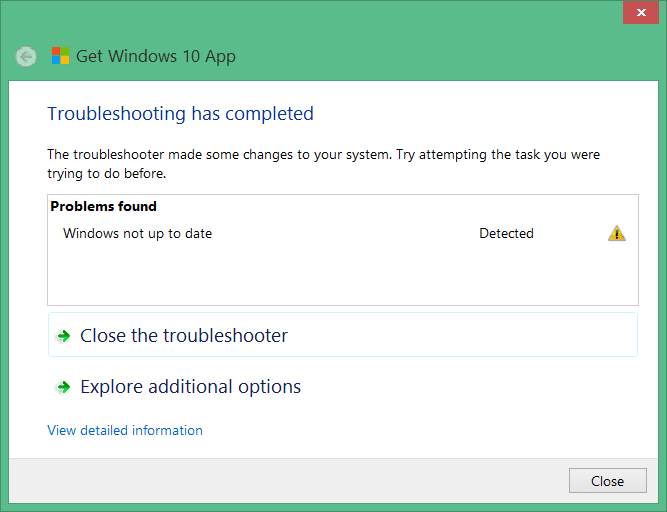 Step 1: Click here to download the Get Windows 10 App troubleshooter. Step 2: After downloading the troubleshooter, double-click on the same to launch it. Step 3: Click Next button to let the troubleshooter scan your Windows 7 or Windows 8.1 installation and detect the issue. Step 4: Once the troubleshooting is completed, it will show the possible reasons why you can’t see Get Windows 10 app in the system tray. Alternatively, if you’re sure that you’re running a genuine copy of Windows 10 and don’t want to go through this troubleshooting, you can use the official Windows 10 Media Creation Tool to upgrade your Windows 7/8.1 installation to Windows 10 right away. I have an issue concerning my widows 8X.it’s need a product key to activate my device if I can through my email accounts I will be glad.thanks.